jeannie zelos product reviews Jeannie's honest thoughts on products bought or received for review purpose. I’ve not actually seen this book “in the flesh” but it caught my eye when I was browsing and I thought what a fun gift for someone who needs cheering up. 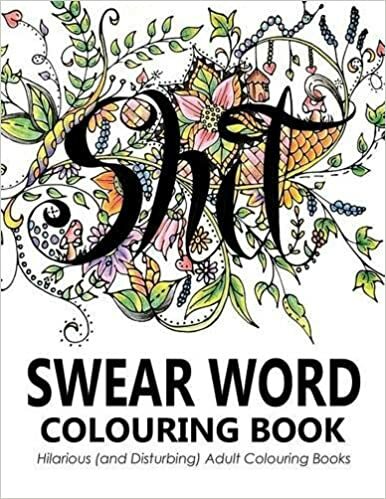 forget grapes when visiting a friend in hospital, make them laugh with this book and some coloured pens/pencils instead! Adult colouring books have become quite a trend recently, ( I have one my daughter bought me and its kind of relaxing, just colouring in the pre-drawn lines, letting thoughts wander), so take advantage and give one that’s a bit different, that has some humour too. I review items supplied free or discounted, and also items I have bought myself to use. Suppliers of free or discounted items are always told before I accept anything "Please note: I review honestly, all items undergo assessment and testing where needed, and if there are issues I mention them, and star rating as appropriate is given." Items supplied for review purpose will always carry the statement "Product supplied for honest review. All items undergo assessment and testing where needed before I give my opinion, and stars given accordingly."